A couple of years back I had a brief flirtation with long exposures. I had just purchased a graduated neutral density filter with which I planned to make really long exposures, thirty seconds and more, even in bright daylight. Sad to say, I’ve done little with the device since. There’s always tomorrow I reckon. 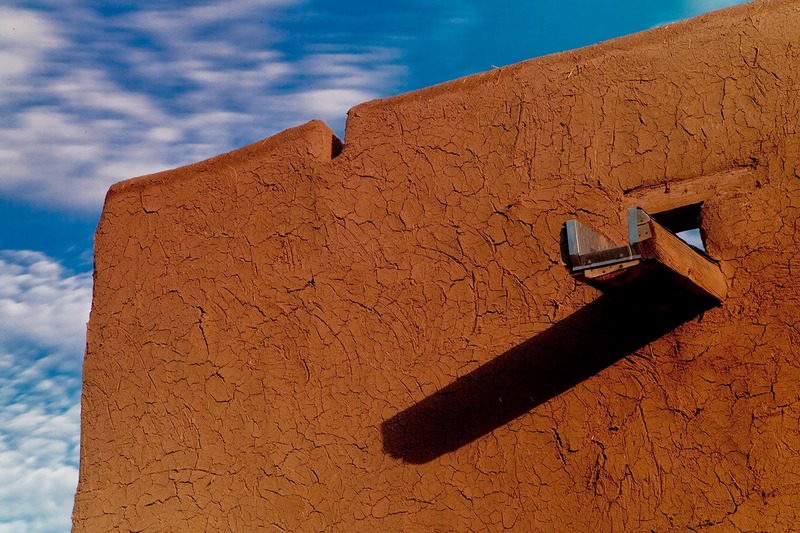 The effect on these images of the Martinez Hacienda in Taos is to render a milky sky and richly textured adobe. 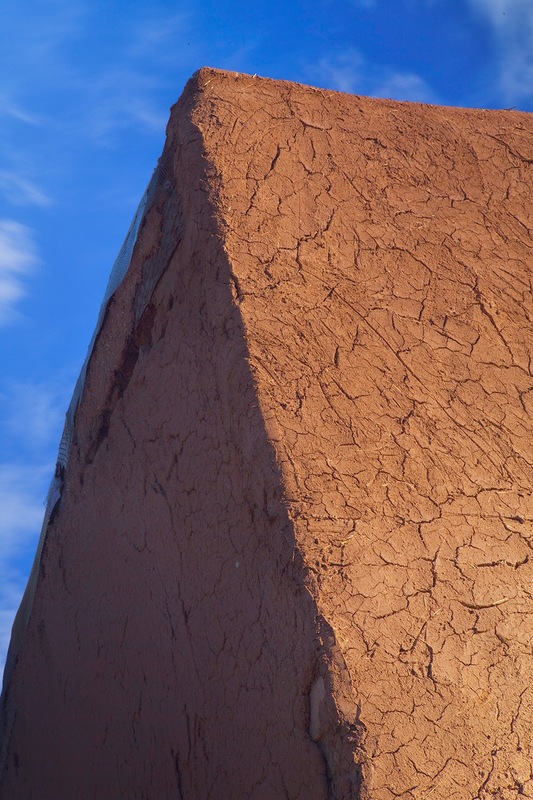 The hacienda had just received a fresh coat of mud so the earthen colors were particularly robust. It appears to me that the long exposures and the moving light creates roundness and volume in the shapes and shadows of the building making it appear even more organic. Long exposures are not for the tripod averse and I am that if nothing else. In our recent sojourn to Spain the thing was effective ballast at best. Next time will be different. You certainly achieved the organic character of the Martinez Hacienda. Angular but soft, and the craculature character is stunning. Thanks for the extra "tripod" mile, from one who tends to be tripod averse as well. We don't need no stinking tripod. 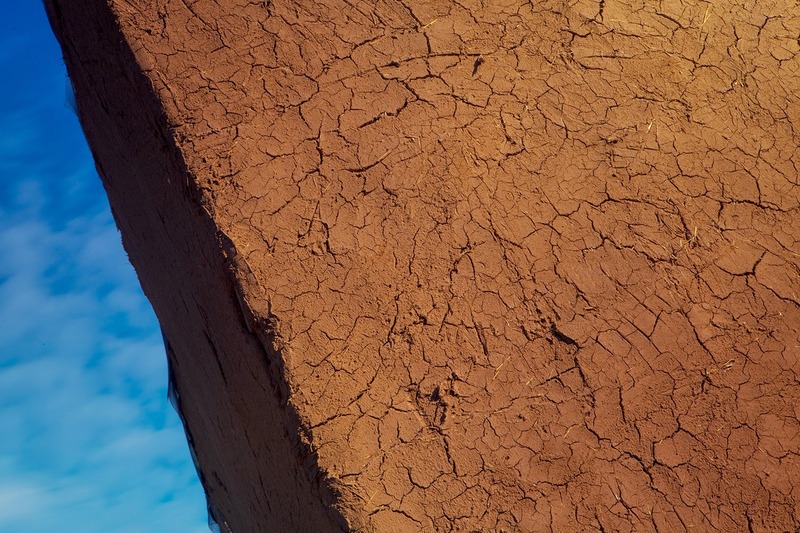 These are really beautiful Steve- I love the texture that you captured in the adobe- the colors are fantastic as well. I truly feel looking at black and white portrait digital photography with it's motion picture comparable is much like assessing apples with grapefruits this post . They merely are not the same thing in look and feel. I mentioned this at length partly 1 of this series. When conversing with photographer Hellen Vehicle Meene she illustrate movie as getting "wonder" instagram. Now I'm unclear just what the techical phrase for wonder is but creatively I understand precisely what Hellen implies.